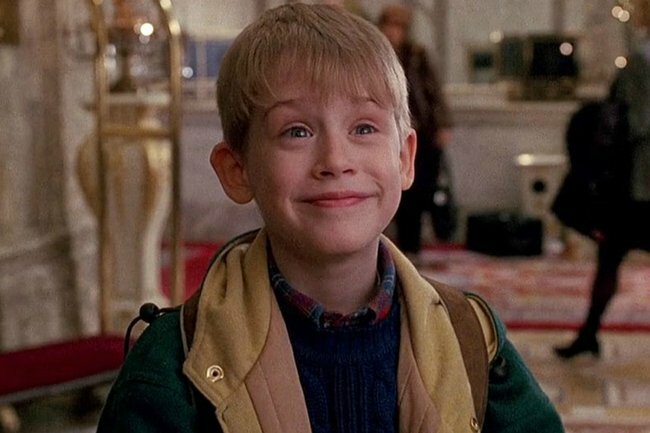 This theory about Kevin will change the way you watch Home Alone. The dark fan theory about Home Alone that will completely change the way you watch it. Watching Home Alone at Christmas is essential. To this day, everyone’s still quite confused about how Kevin McCallister, played by Macaulay Culkin, is left behind while his entire family flew to Paris without him, but it’s still iconic. It really is the perfect adventure film to enjoy with the whole family. There’s one dark fan theory on the internet about what really happened to Kevin, and it’s very… interesting. Apparently Old Man Marley is… Future Kevin. According to Reddit user spookycookies, the creepy neighbour is future Kevin returning to alter his tragic childhood. His main point is that Old Man Marley saves Kevin from being murdered by the Wet Bandits, which allows him to reconcile with his family. He explains that the “Shovel Slayer” is existing on an alternative timeline. “In timeline A everything that happened the night before the flight to Paris still occurs, except without Buzz and Kevin noticing ‘Old Man Marley’ because he simply did not exist,” he writes. Without Old Man Marley, Kevin answers the door to the police officer and is swiftly taken from the house to be kept safe, leaving the house to be completely robbed. “With their household in financial ruin (and flooded) the family enters a very rough era that ends in Kevin’s parents divorcing and his brothers and sisters living in different households,” the Reddit user suggests. Kevin knows who the robbers might have been, but never tells the police, resulting in a spiral of self-blame. “Kevin decides that the only way to fix his life is to change the events of the past. Old Kevin, resigned to never return to his ruined future abducts his wife and son and forces them to travel back to the 1980’s,” the Reddit user adds. Old Kevin then buys the house next door to where his parents would move, and waits until the Christmas of 1990. “On Christmas Day Kevin’s mum returns to see that her son is alright and their family avoids any problems that would have come from a robbery (and severe flood damage.) Young Kevin from timeline B will now never grow up to become Old Kevin, who can never return to timeline A. Thankfully he reconciles with his son and both generations of the McCallister family end up enjoying the holiday together,” he concludes. Yep. That’s a lot to take in.